The Wrong Passage is the eighth title in the Baker Street Irregulars Manuscript Series. 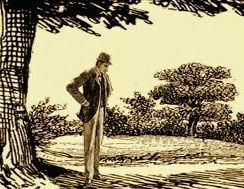 “The Adventure of the Golden Pince-Nez” shows Sherlock Holmes at his observant and deductive best, performing what he called “a simple trick, but exceedingly effective” to unravel a seemingly impossible-to-solve mystery. Published by the BSI with the cooperation of the Harry Ransom Center at the University of Texas at Austin, the book contains a facsimile of Arthur Conan Doyle’s original manuscript of “The Golden Pince-Nez,” along with a thoroughly annotated typescript and commentary by Philip Bergem. Edited and introduced by Andrew Solberg and Robert Katz, MD, this volume also includes Randall Stock’s history of the path the manuscript followed to its current home at Texas, as well as an in-depth look at the historical background alluded to in the tale by Professor William G. Wagner of Williams College. 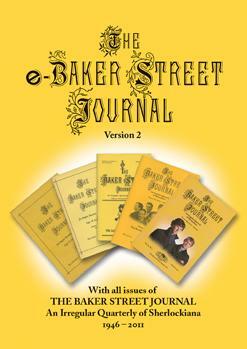 Also included are eight other analyses on topics ranging from the historical and geographical to the linguistic, religious and medical, by noted Sherlockians Peggy Perdue, Denny Dobry, Donald Pollock, MD, Albert Silverstein, C. Paul Martin, MD, Jacquelynn Morris, Richard J. Sveum, MD, John Baesch, and William Hyder. For a limited edition of The Wrong Passage, see The Texas Set. A limited edition of The Wrong Passage is part of a two-volume Texas Limited Edition Boxed Set. That set also includes the BSI Manuscript Series facsimile of “A Scandal in Bohemia,” which like “The Golden Pince-Nez” is held at the Harry Ransom Center at the University of Texas at Austin.